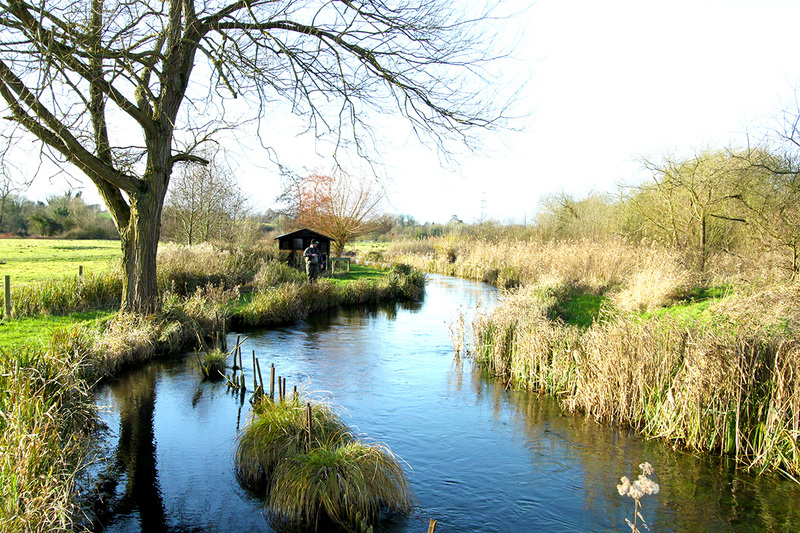 This time last year I fished the River Anton with my good mates Terry and Nick, the section right above where the Anton meets the river Test at the Mayfly Pub. This year Gareth and I managed to get on a similar sized stretch a short drive upstream of that which is controlled by Famous Fishing. The stretch consisted of four long beats – offering a great variety of water from shallow, fast runs to wide, open glides. The perfect opportunity to try the new Airflo Nymphing line. Gar and I fished upstream from the top of beat 2 encountering some unbelievable sight fishing. 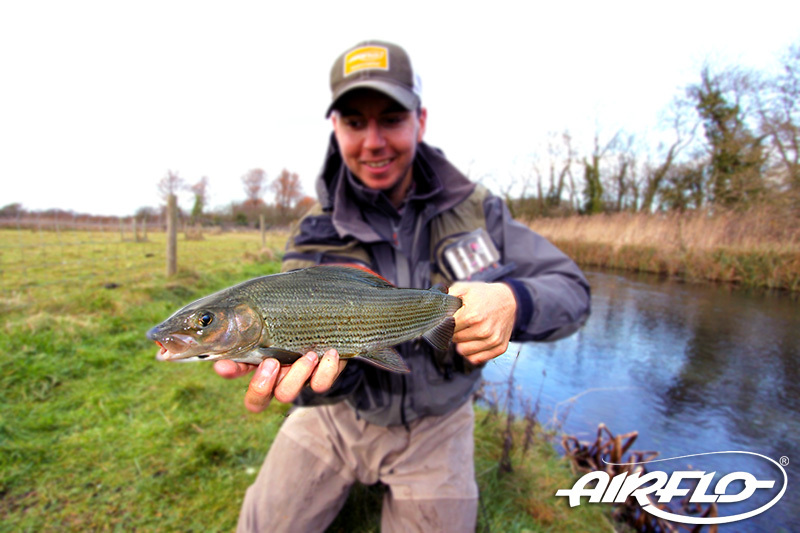 The river was stuffed full of grayling from half a pound right up to a pound and a half in weight, with the odd bigger fish proving elusive. Grayling are like ghosts, especially the bigger fish, they tend to hang higher in the water (especially on chalkstreams) until spooked and then shoot off not to be seen again, so a stealthy approach is usually the way forward. A single nymph on .70mm tippet proved fruitful, offering quick submersion and a lifelike fall of the fly. To me it was obvious these fish are pressured, with even the sight of our fly rods waving about in the air forcing the fish off station to seek cover. After a couple of failed attempts in the first run Gareth and I managed to get in the groove, slipping the net under some decent grayling. The best for me fell to a red tag jig, tied with Black/Copper Nymph-IT from Funky fly tying. 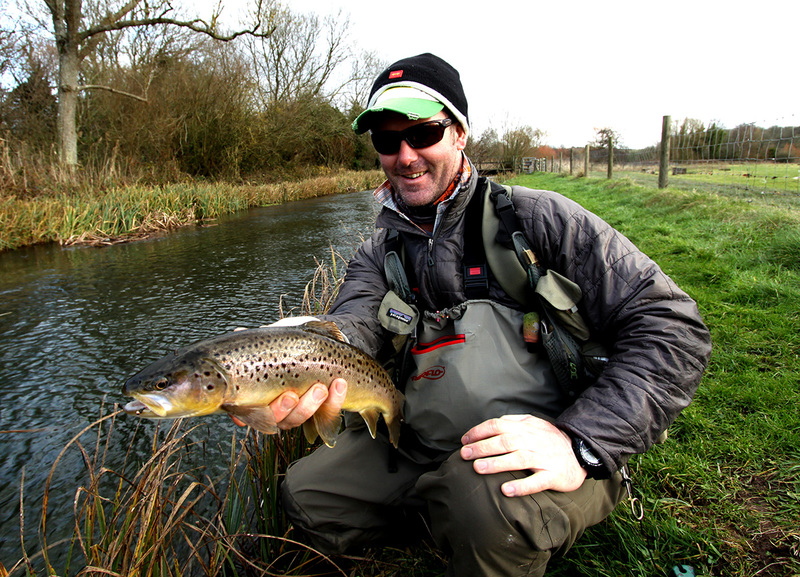 Fishing such rivers as Chalkstreams, it’s inevitable that you’re going to catch brown trout – And Gareth was king of the brownies… A Metalic Pink beaded jig proved deadly for them, but oddly, not the grayling. The Graying preferred the more somber flies, without the fluorescent beads, collars or tags.